Let me tell you, this chicken brought back a lot of memories! 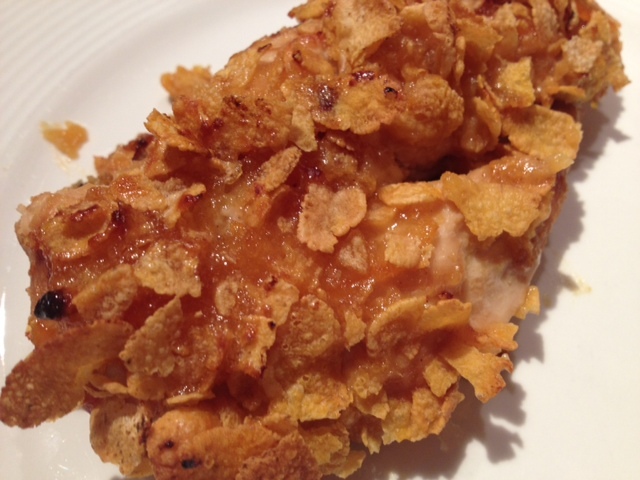 Sometimes food can trigger the most vivid memories of people and places.When we would visit our grandparents on Cape Cod, my Dad’s mom, who we called Grammy, would make this chicken recipe for us. 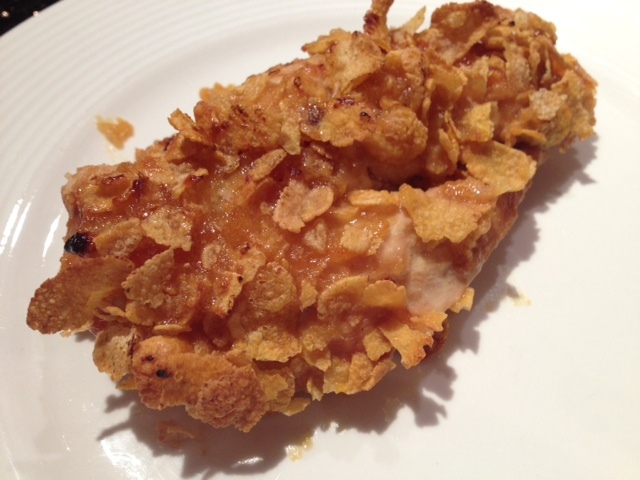 I have very fond memories of what we called “Corn Flake Chicken” from summer days on the Cape. Below is her original recipe (in her handwriting) that my mom saved. She used to make it using chicken thighs, but I decided to make it a bit healthier by using chicken breasts. Other than that, I followed her exact recipe! Marinate the chicken overnight in the soy sauce and crushed garlic. 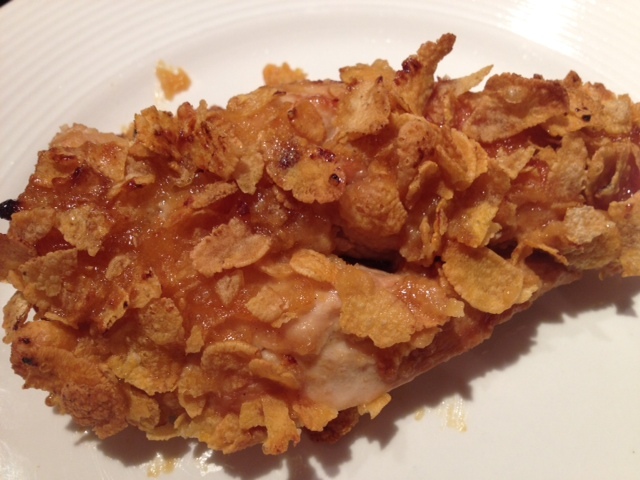 Sprinkle corn flakes in a greased baking dish and then place the marinated chicken in the dish. Combine the marmalade and Dijon together, and then spread the mixture over top of the chicken breasts. 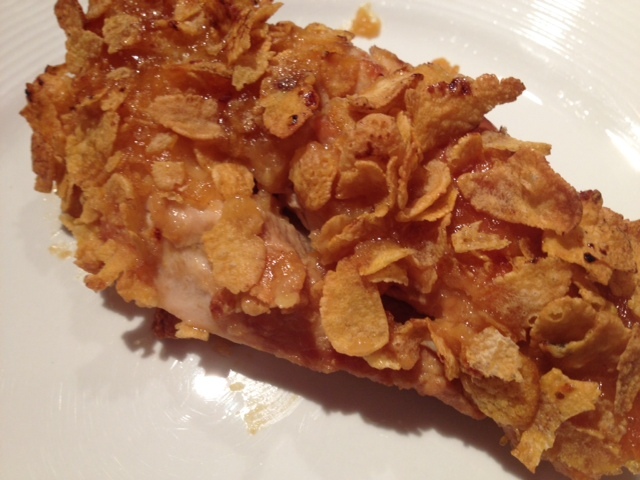 Then sprinkle more corn flakes over top and bake for about an hour in a 350 degree oven. Thanks for posting this! My sister and I had lost my mother’s recipe and I hadn’t had any luck searching the internet. We were talking about it again this morning, I tried again, and your blog popped up. 🙂 This is exactly what I remember my mom making. I’m definitely going to be making them in the next week or so.